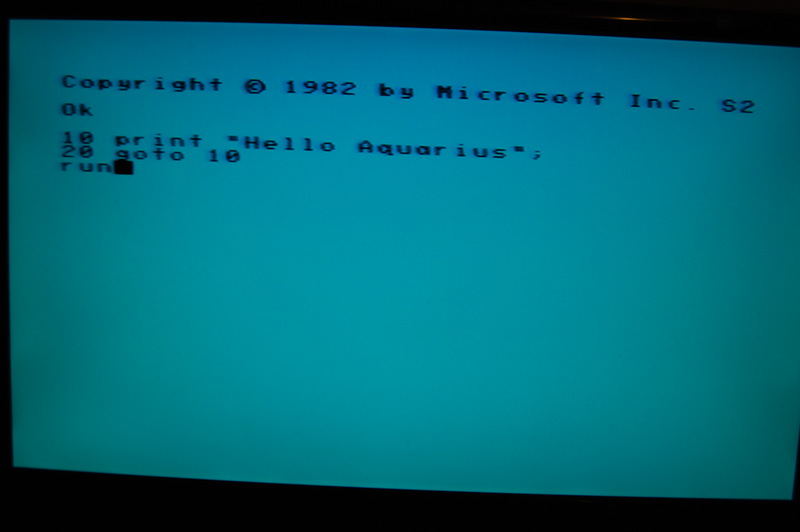 This entry was posted in computing, old, retro, Uncategorized and tagged 1982, aquarius, basic, computer, mattel, microsoft, retro, windows. Bookmark the permalink. Hehe.. that is an honest question my friend. 😀 Good to hear that you’ve got it up and running though. Do you have much software for it? No software at the moment. It rarely seems to appear on ebay, but I am watching for it! Hope you’ll get hold of some neat stuff for it in the future. I’ll let you know if I stumble upon some goodies. One never knows. There is a season for flea-markets these days, so I’m planning to visit a few of those. Might be some retro stuff to buy.